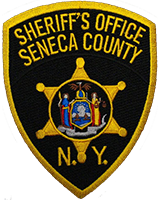 The Seneca County Sheriff’s Office reports that on October 23rd at 10:27am, Sheriff’s Deputies arrested 24 year old Mathew M. Hadley of 2146 West Seneca Street in Ovid following the investigation into a domestic incident. It is alleged that during the incident, Hadley did damage property belonging to a female victim and also slapped a phone out of her hands causing the phone to strike the female in the mouth. This all happened in the presence of a 2 and a half year old child. Following investigation, Hadley was charged with one count of Endangering the welfare of a child, a class A misdemeanor, Criminal mischief in the 4th degree, a class A misdemeanor and also harassment in the 2nd degree, a violation. Hadley is currently being held in pre-arraignment booking at the Seneca county correctional facility to be arraigned at 7pm.